The fourth meeting between the opponents this season does not have any competitive value, but it is interesting that the second and third best teams will lock horns. 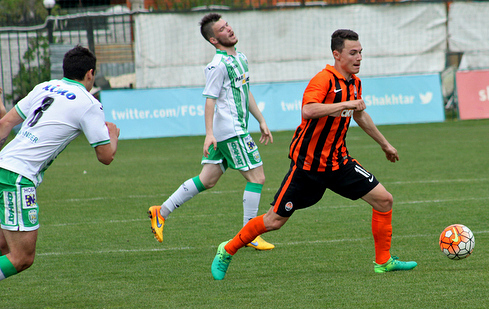 In the previous round, Shakhtar beat Dynamo 2-1. Throughout the match, the Orange-and-Blacks had a significant advantage, with Giorgi Arabidze opening the scoring through a free-kick. Before the break, the Kyiv team managed to level it, with Taras Kacharaba scoring for Shakhtar late in the match. Thus, one round away from the league season end, Donetsk have 73 points (23 wins, 4 draws and 4 losses) with the best goal difference in the league: 72-14. In the table, the lads of Valeriy Kryventsov are 16 points ahead of Karpaty. The main plot of the season remains the competition for the U21 league’s top scorer title. For today, Giorgi Arabidze (Shakhtar) and Stanyslav Belenkyi (Olimpik) boast 15 goals each. Karpaty got among the U21 league’s final top three sides for the first time since 2010, when they won the championship. This season, the Lviv side’s performance indicators are as follows: 17 wins, 6 draws, 8 defeats (57 points). Goal difference is 44-33. The team’s top goal scorers this season are Ihor Bohach and Maksym Salamakha (6 precision shots). In the previous round, the Lions had a productive match against Olimpik. In the opening 17 minutes, the Galicians scored three goals (Lebedenko, Salamakha, Veremiyenko), remaining in the minority towards the end of the first half though: Busko earned two yellow cards. And in the second half, the Olympians scored three goals to secure the 3-3 draw. We want to note that due to suspension, Andrii Busko and Maksym Salamakha won’t be able to help Lviv vs Shakhtar. In the U21 league, Shakhtar and Karpaty held 23 meetings: 10 wins for Shakhtar, 8 – for Lviv, 5 draws. The goal difference is 45-32 in favour of the Donetsk team. This season, the rivals met three times. 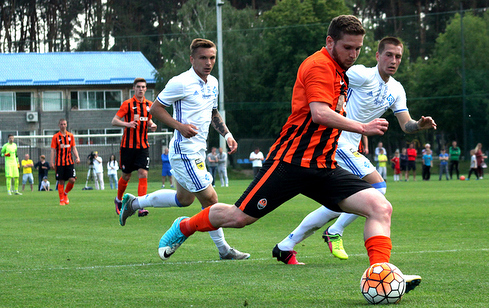 The game in Lviv was reduced to a draw (1-1), in Schaslyve the teams exchanged victories: in the autumn the visitors proved stronger (0-2), and in the spring Donetsk won through Dmytro Topalov's goal (1-0). Shakhtar have the best performance indicators in the away games. Out of 15 away matches, they won 10 games, drew 4 times and lost only once.